This is the second post in a six-part series on what nonprofit leaders think foundation funders could improve upon in their work. 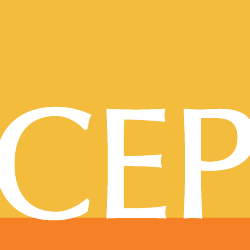 Findings are based on survey responses from 244 nonprofit leaders who have agreed to be a part of CEP’s Grantee Voice Panel — a nationally representative sample of leaders of U.S. nonprofits across a broad range of geographies, fields/issues, and sizes who confidentially provide CEP with their perspectives working with foundations. How are funders using grantees’ reports? Grantees want to understand how the time they spend sharing insights in submitted reports are informing foundation learning and planning, and they want to engage in discussions about this with their funders. Some nonprofit leaders note that required paperwork sometimes “needlessly consumes time and generates frustration.” Online portals don’t always create the efficiencies one might hope technology would create; one grantee suggests that funders try to complete their own forms before asking nonprofits to use them. (Barr Foundation is trying that out this year.) And technical requirements can be frustrating when word count limits don’t allow nonprofits to tell their story or when questions aren’t relevant to a nonprofit’s context. Some CEOs express interest in hearing more from their funders about how metrics and outcomes, as well as reports and evaluations, are used inside the foundation. Be honest with declined applicants and provide feedback when requested. Nonprofit CEOs request more openness and honesty following a declination. “Knowing why a funder does not fund a project would be very helpful for writing future proposals,” says one nonprofit leader. These comments aren’t new. They closely align with suggestions we have commonly seen for the better part of two decades from foundation grantees responding to CEP’s Grantee Perception Reports for specific funders. And they closely align with findings in numerous CEP research reports — for example, that both foundation and nonprofit CEOs tie transparency to the substantive work of foundations (Sharing What Matters: Foundation Transparency), and that the utility of foundations’ data requirements matter (Assessing to Achieve High Performance: What Nonprofits Are Doing and How Foundations Can Help). Other data we have analyzed at CEP supports the case that there is real opportunity for funders to improve aspects of their processes. When we look at the GPR dataset as a whole, for example, we see very little change over time in the reported helpfulness of participating in a selection process in strengthening the organization/program funded by the grant. And we haven’t observed any drop in the time grantees spend on application and reporting processes, either. Yes, processes are an inherent part of grantmaking crucial for allowing funders to make informed decisions. Yet, there is a clear opportunity to reduce the transactional costs for nonprofits and foundation staff alike, and to make processes less painful, more clear, and more helpful. Naomi Orensten is director, research, at CEP. Matthew H Leiwant is a former associate manager, research, at CEP.